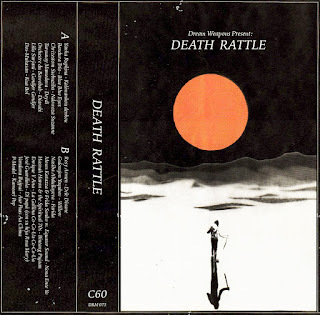 Death Rattle is a complete hodge-podge of a mix. Completely incoherent, completely jumbled, just put it on and listen in bemusement and astonishment. Perplexity is the key. There might even be a tune or two you really enjoy. I wouldn't be commenting right now if it weren't for the first half of the mix, which is the most beautiful journey I've ever had. I don't want to believe that Mr. Prabha Devi means the things that came to my mind while listening to the second half; anyway, thanks for everything guys, you just made my night. Hey! Not 100% sure if that was a compliment or insult :-) but like i said in the text, its a complete mix and if you like any or all of it thats cool with me :-) Good luck onwards with your musical journeys. Hey! Thanks and really glad that you got some smooth vibes out of it! Thats the best comment I ever received! Thanks so much indeed, and hope you continue having new great experiences with some of the tracks on our blog! Happy listening!